Instead of writing a book, Gilbert Arenas is sharing his version of what happened in the Wizards locker room in snippets on Instagram. When the autobiography of Sacramento Kings wing Caron Butler came out last week, the story that grabbed everyone’s attention was Butler’s retelling of the 2011 altercation between Washington Wizards teammates Gilbert Arenas and Javaris Crittenton. The incident ended with guns in the Wizards locker room and Arenas being charged with felony gun possession. 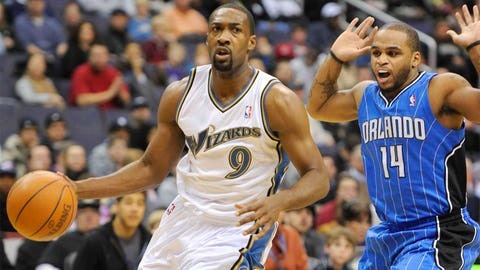 Arenas was suspended for most of the 2009-10 season for his involvement in the altercation. He played in just 87 regular-season games and 11 playoff games after the suspension.